Tucked away in a quiet court on a slightly elevated allotment with treetop vistas, this property has been remastered with designer flair and style into an on-trend home to tailor for the discerning tastes of young families and professionals alike. A crisp white interior palette is complemented with splashes of industrial black fittings against marble bench tops, white plantation shutters and warm wooden flooring, creating sophisticated yet relaxed living. Boasting a generous open plan lounge and dining area plus a brand new kitchen with s/s appliances, D/W, breakfast bar with pendant lighting and soft close cabinetry. Leading from the dining area is a large north facing covered outdoor entertaining area allowing for all year round use. Accommodation comprises 3 good size bedrooms (2 with BIR's), central bathroom, and a separate laundry/powder room. 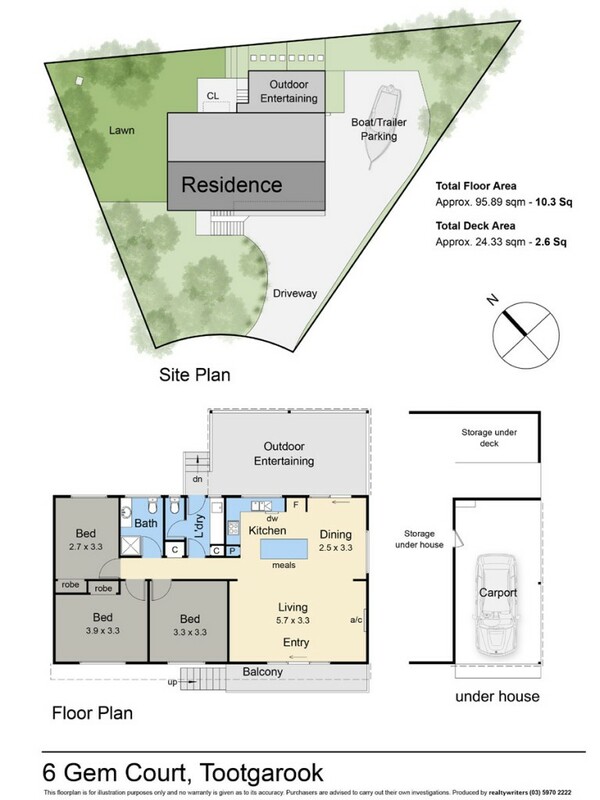 Additional extras include plantation shutters throughout, pendant lighting, split system air/heat, overhead fans, easy care gardens, treetop vista, under house storage, single carport plus plenty of OSP for cars/boats/caravans. You won't find many properties as wonderful as No. 6 Gem Court, so an inspection is a must. Land size 646 sqm approx.